Want to know what people are saying about you when you’re not there to hear it? This article will teach you how you can use Social Listening to never miss an opportunity to improve your online sentiment. Do you remember the adage about your ears burning? Back in Roman times, it was firmly believed that if you had a ringing or “burning” in your ears, then someone was talking about you. They also went so far as to say that if your right ear was ringing, that meant someone was saying good things about you. Conversely, if your left ear was ringing, they were saying not-so-good things about you. Wouldn’t it be great if those were true though? Even better–wouldn’t it be great to have some sort of Superman-like hearing ability so you can actually hear what people were saying? Luckily, technology has given us the equivalent of Superman’s super hearing via the concept known as Social Listening. 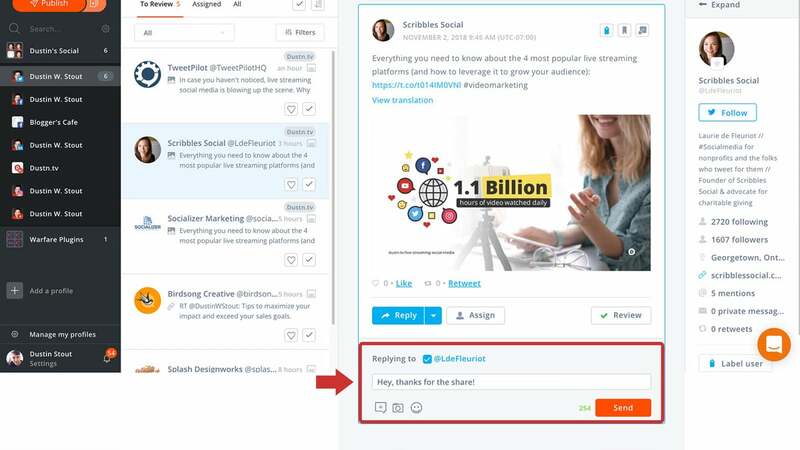 Social Listening is the act of using sophisticated software to monitor the entire internet for people talking about you, your brand, or keywords related to you. People are talking about you online. And in many cases, you may not even know it’s happening. These conversations are happening on popular social networks, online forums, blog posts, in online videos, and the list goes on. If you’re a brand or a business, understanding public sentiment–how people feel about you–is critical. Whether it’s good or bad sentiment, you want to know about it. In most cases, you would hope that those talking about you on social media have used a “tag” or “@mention” feature so that you get a notification. Sadly, the vast majority of conversation happening around your brand isn’t tagged. The good news is there are a handful of tools out there that will notify you every single time your brand (or keywords related to your brand) are mentioned online. This is known as Social Listening, and it can turn into a powerful online marketing tool for your brand. 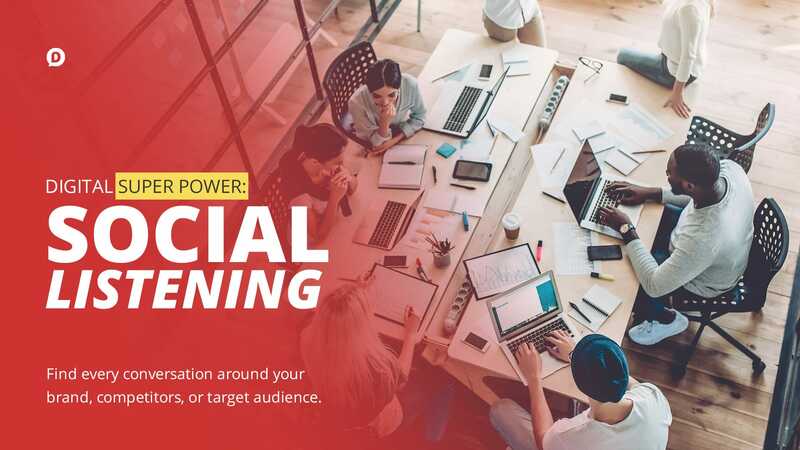 If you’re not leveraging Social Listening in these ways, you’re missing out on countless opportunities to serve your audience better, and grow your business. Not only can social listening be used for collecting information about your brand and audience, but you can also use it to keep tabs on your competitors. You can monitor what your competitors are doing, and how their audience is responding. This can give you just the competitive edge you were looking for. Below, I’m going to give you some of the most powerful social listening tools to help you monitor your online presence more effectively. These are tools I’ve tried, tested, and have proven to be both effective and easy to use whether you’re a beginner or an advanced marketer. Are there other tools not listed below? Of course. But I only want to give you the best options I’ve found. This saves you the pain of having to sort through dozens of not-as-great solutions. 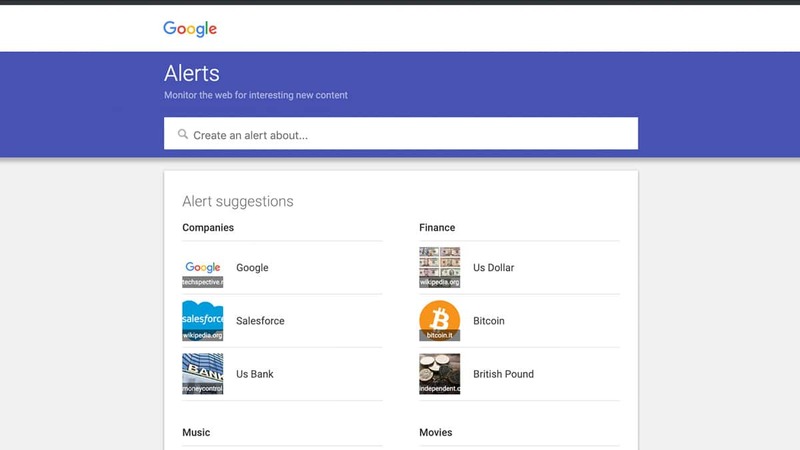 Google Alerts is the probably the easiest way to get started with social listening. It helps you monitor keywords or phrases across Google’s index (basically the entire internet). Every time Google indexes content that contains one of your monitored keywords, this tool directly send an alert directly to your E-mail. Step 1: Go to Google Alerts and log in with your Google account. 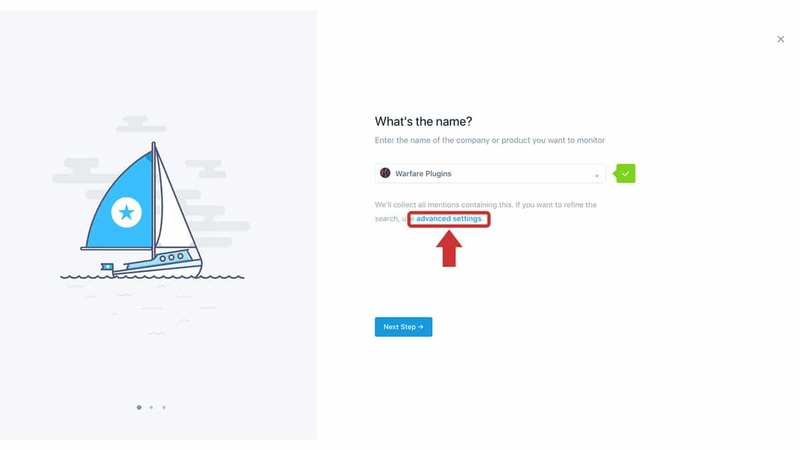 Step 2: Type in your brand name (as a starting point), but don’t click “Create Alert” yet. Sources – You can leave it set at “Automatic” if you want to get all possible sources, but there are several choices for it if you are into something specific, like news, blogs, videos, etc. 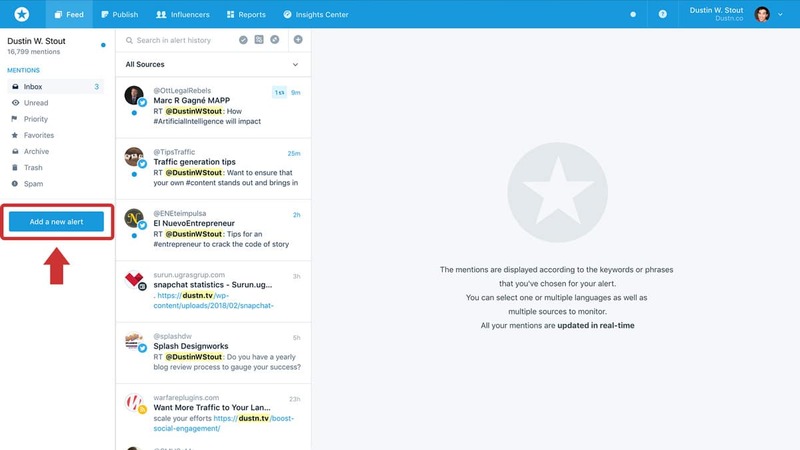 Language – Limit your alerts to a specific language. Region – Limit your results to specific geographical locations. How Many – Control if you only want to get alerted for the popular or “Best results,” or if you want all results of mentions shown. Deliver to – The E-mail you want to get alerts at. Google Alerts might not be the most powerful tool out there, but it is simple and free. It is a perfect go-to place when are just starting out with social listening. 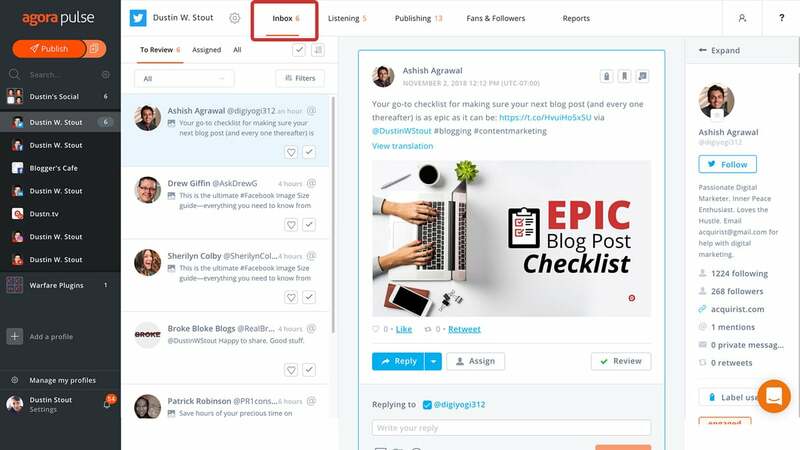 BuzzSumo is an excellent research tool with a multitude of purposes which include content research, trend analysis, competitor analysis, influencer research, and monitoring. 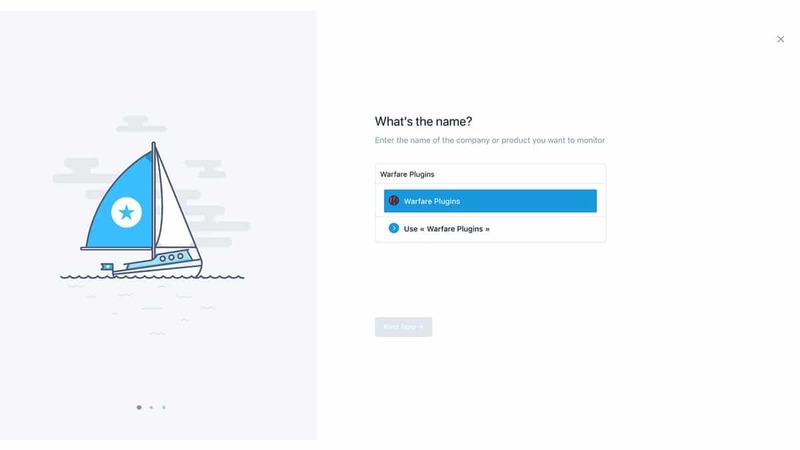 Brand Mentions: track your brand name and know whenever it’s mentioned online. 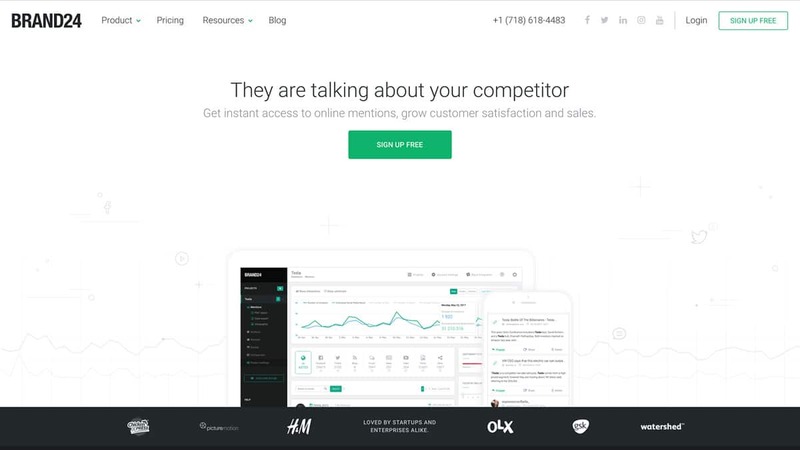 Competitor Mentions: track your competitor’s brand name whenever they’re mentioned online. Content from a Website: track every time a certain website publishes a new article. 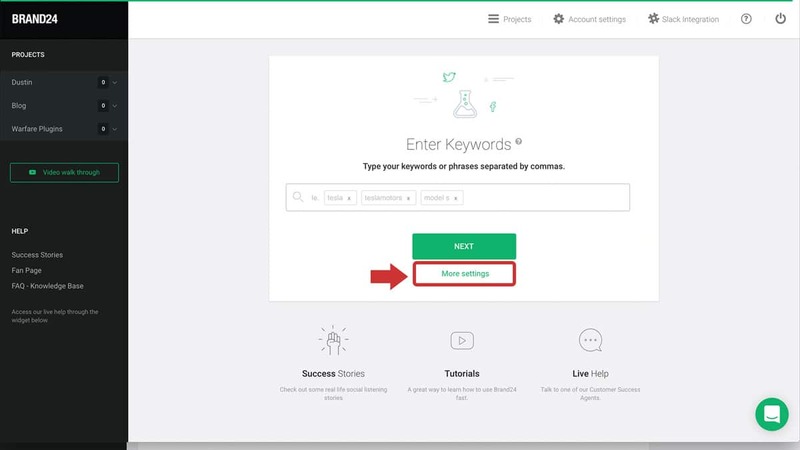 Keyword Mentions: track specific keywords or phrases and know whenever they are mentioned online. Backlinks: track every time a specific website gets a backlink. An Author: track every time a specific author publishes something online. 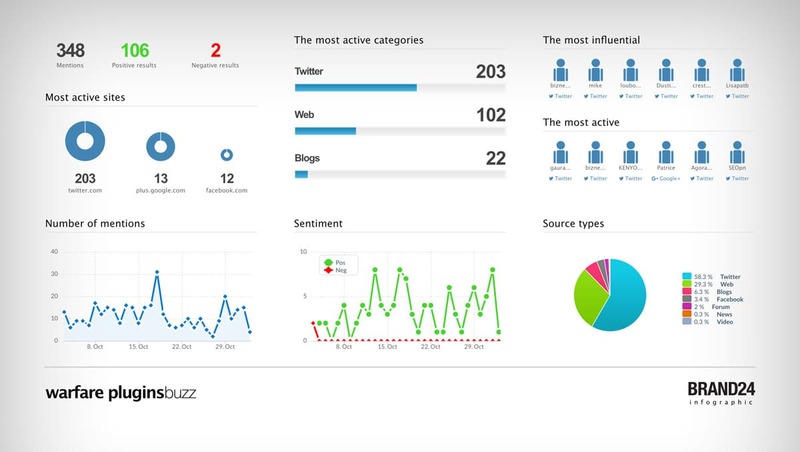 To create one of these alerts in Buzzsumo, login and click on the Monitoring tab. From this dashboard, you can click on the “Create New Alert” button in the top-left of the screen. Then you’ll want to choose which category you want to create an alert for. Each category is going to have different options you can configure to refine your results and when you get alerts when something new is found. This makes it very easy to monitor exactly what you want and get the best results. Now, because of how powerful BuzzSumo is, it’s not a free tool. Getting access to BuzzSumo starts at $99/month. For serious marketers, though, it’s well worth the cost. However, thanks to my friends over at BuzzSumo, you can give it a try for free using the link below. 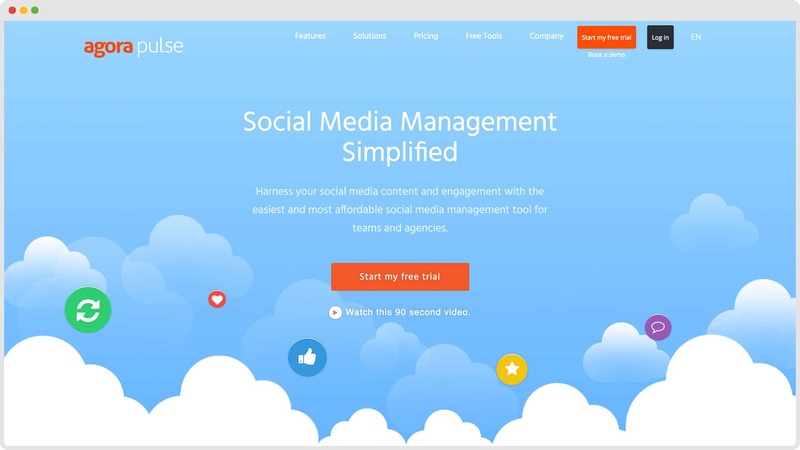 Agorapulse is my favorite social media management tool. It’s also a powerful social listening tool. When you connect a social profile in Agorapulse, it will automatically begin monitoring mentions of your account name or handle. So for example, every time someone uses my Twitter handle, it will show up in the “Inbox” section for that profile. The same goes for my Facebook page–if someone mentions my Facebook page by tagging it in a post, then it shows up in the Inbox for that profile. Now, you’ll also notice there’s a “Listening” tab in the Agorapulse dashboard for each profile. This is where the real social listening happens. 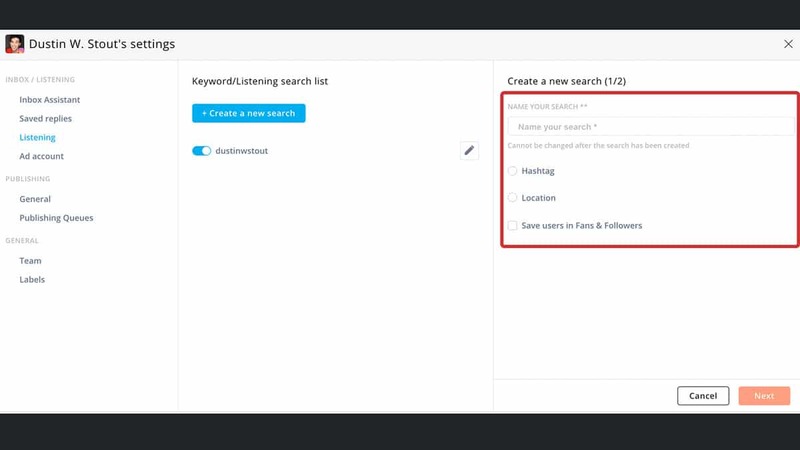 You can create “Searches” to monitor for Twitter, Instagram, and YouTube profiles. 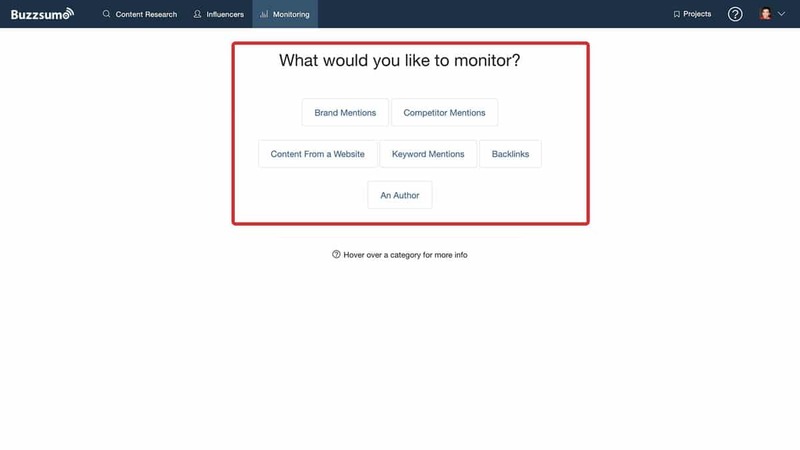 So unlike BuzzSumo where it’s monitoring everything on the internet, these are specific to the channel in which you’re setting up the alert, or as they call it, Search. For Facebook profiles or pages, your Listening tab will only be untagged mentions of your profile name. Unfortunately, you cannot create custom searches for these channels. Now what really sets Agorapulse apart here is that you can reply to these messages right from within the inbox. For me, the Twitter Listening is what I find to be incredibly helpful. Many people share my articles, and a lot of times they forget (or don’t know) to tag my Twitter profile. But thanks to Agorapulse, I can set up a search for my domain name, and every time a link is shared to my domain, it will show up in my Listening tab. When I see that someone has tweeted a link to one of my articles, I can thank them by typing into the Reply box. First, you’ll click on the Settings icon for the profile you want to create a Search for. Once there, click on the Listening tab and then click the Create a new search button. “Name”: Give your search a name so that you can identify it from other’s that you may create later. 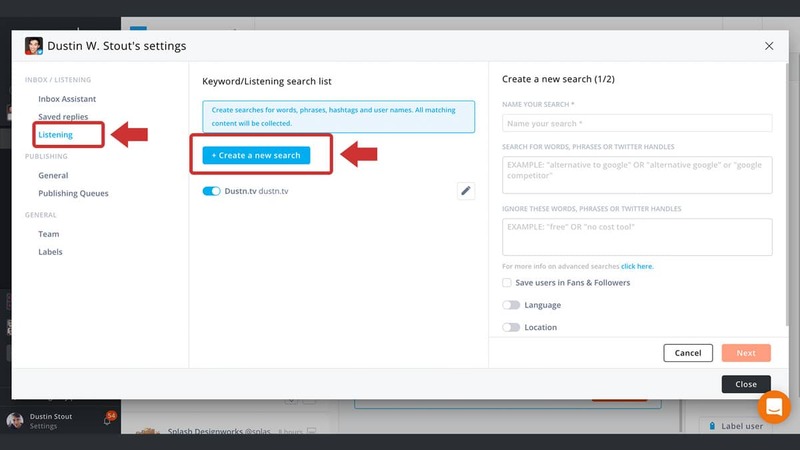 “Search for…”: Enter the keyword, phrase, or Twitter handle you’re wanting to monitor. “Ignore these…”: You can include words that you want to eliminate from potential results–words that would give you results that you don’t want to see. 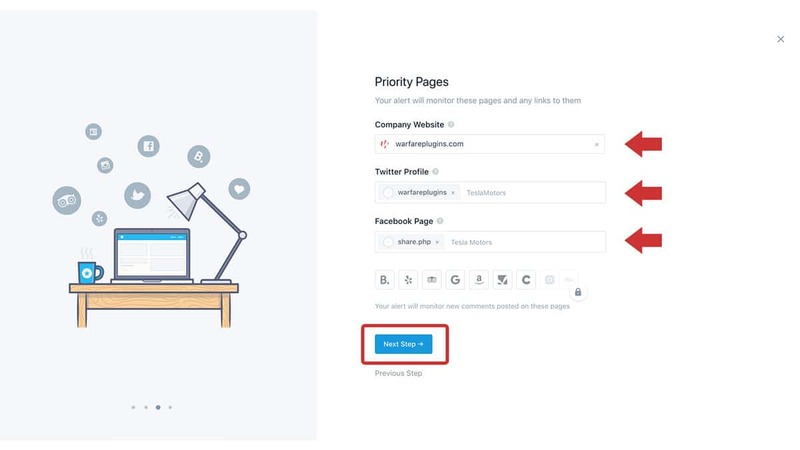 “Save users to Fans and Followers:” Checking this box will automatically save any user whos content matched this search to your “Fans and Followers” tab, allowing you to keep track of those who mention you. “Language”: If you want to limit your searches to a specific language, you can use this setting to do so. “Location”: You can also limit your searches geographically if you like (great for local businesses). Agorapulse also has some useful advanced search operators that you can use to create more intelligent queries. Setting up a custom search for Instagram is slightly different. When you go to create a new search for an Instagram profile, you’ll see some slightly different options. You can currently choose to monitor Hashtags or Locations. Select the one you want to monitor, and then enter the search term to create it. Now, both Facebook and Instagram are changing rapidly at the moment, and it’s unsure how their APIs will be changing in the near future regarding 3rd party apps. So use these features while you can! 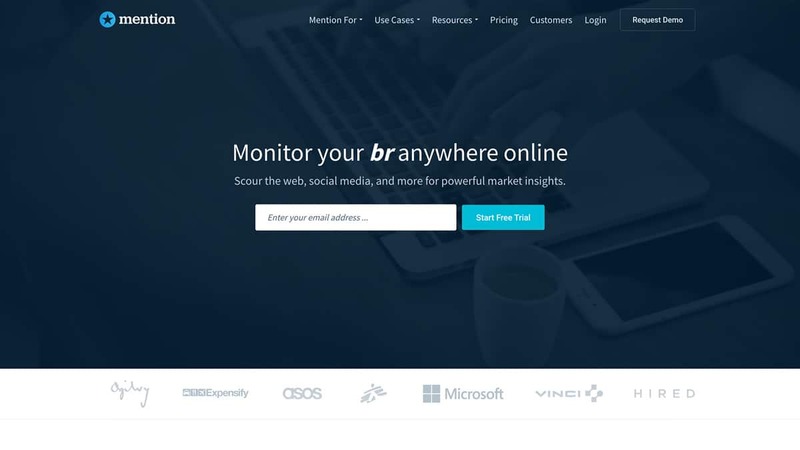 Brand24 is similar to BuzzSumo in that it scours the entire internet looking for your monitored keywords. Unlike BuzzSumo, however, it will also monitor online video! It also provides analysis and reports based on the frequency and sentiment of those keyword mentions. Setting up a keyword to monitor in Brand24 is easy. 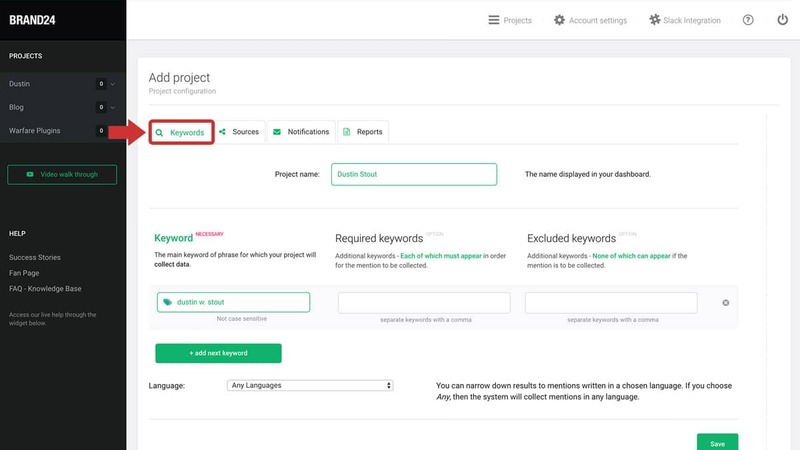 Items you are monitoring are called “Projects” and can include multiple keywords and variations. 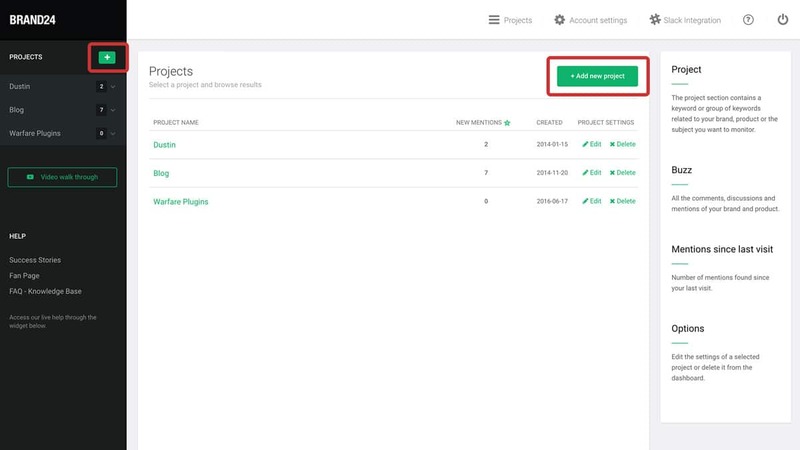 First, log in to your dashboard and click on the green Add new project button in the middle section or on the green “+” next to the Projects label in the sidebar. Now, you can take the easy way, or the advanced way of creating a Project. The easy way is just to type in your keyword, hit the “Next” button, and select the language you want the mentions to be in. Or, you can click on the “More settings” link below the “Next” button, and get more advanced settings to really refine your mentions. The first thing you’ll see when you click the advanced options is the Keywords tab. Here you can name your Project, select the necessary/required/excluded keywords, and select your language. Next, you can click on the Sources tab if you want to exclude any sources where your mentions will be coming from. Next, you can head to the Notifications tab where you set up rules that will notify you once your project has reached a certain number of mentions or based on a set frequency. Notifications can be set up for mobile (via the mobile app) or to an email address. 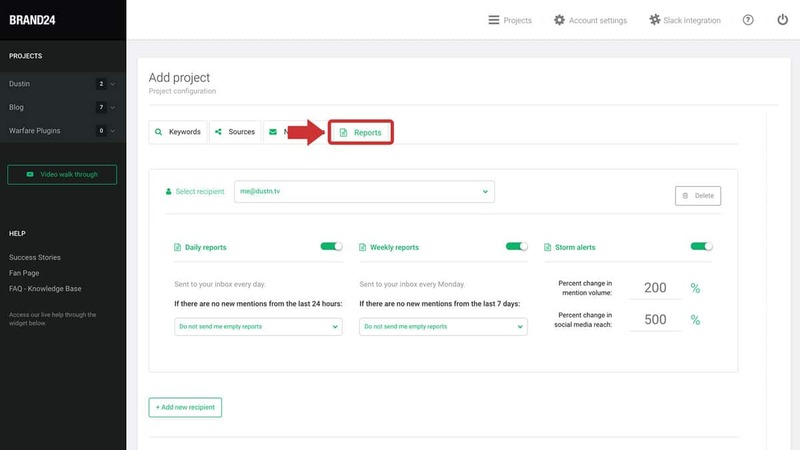 And, finally, the Reports tab allows you to automate reports to be delivered to you via email on a daily or weekly basis. You also have the option to be notified of “Storms” which is what they call a higher-than-normal volume of mentions in a short period of time. This is helpful in the case that your brand is going viral (for better or worse). One last note I’ll make about Brand24 is the ability to filter mentions by Sentiment and Influencer Score. This feature is extremely helpful for doing customer support or influencer outreach. 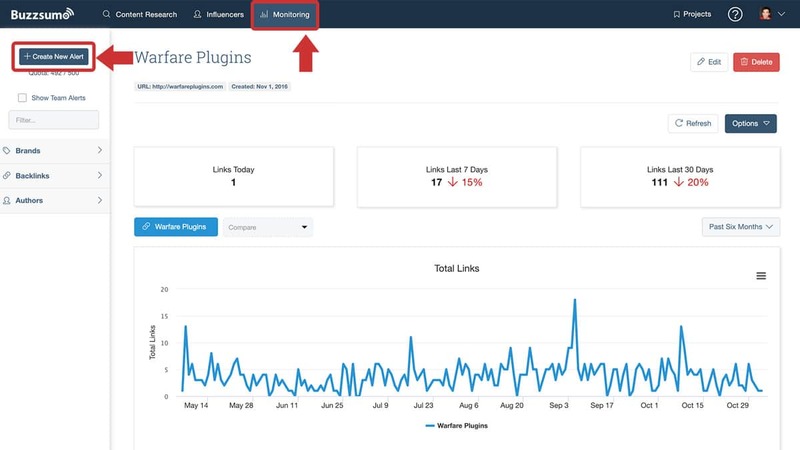 Mention is among the most popular online tools used to monitor your company’s name, phrases or keywords related to your niche, and also to track your competitors in real time. 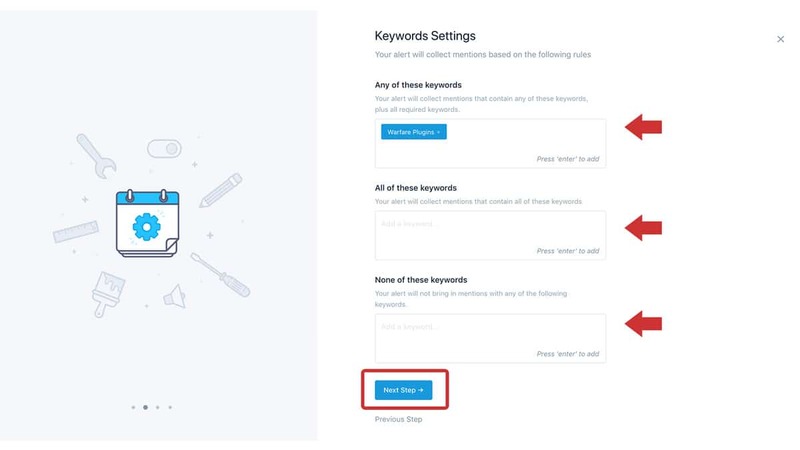 Just like BuzzSumo and Brand24, Mention crawls the entire internet looking for instances of the keyword(s) you’re monitoring. 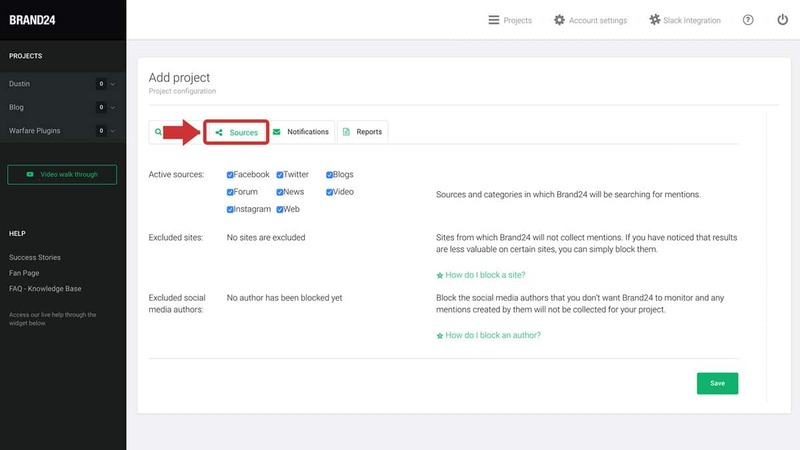 However, Mention allows you to connect your Twitter, Facebook, or Instagram accounts and actually respond to alerts right from within the dashboard (just like Agorapulse). Another thing that really stands out about Mention is that they also monitor Radio and Television mentions. This feature is only available at the enterprise level, however, and they don’t even give a set price for this level of monitoring. The user interface is beautiful and easy to navigate. Creating a new Alert is very straight-forward and easy. To create a new social listening alert, click on the Create New Alert button. 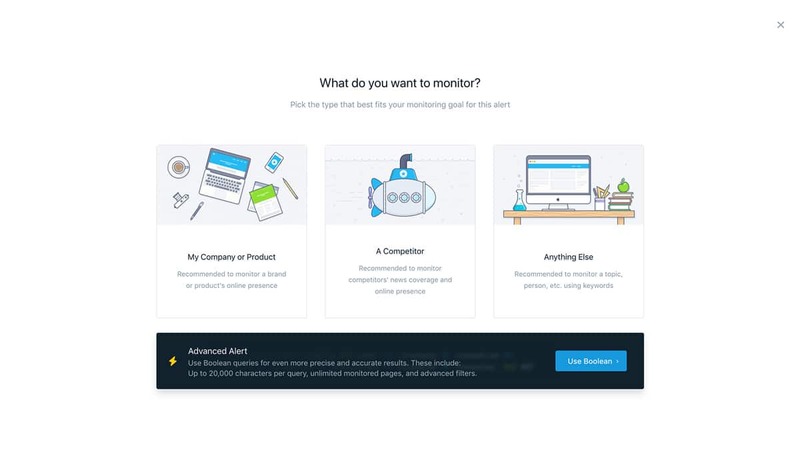 A new screen will pop up, and you can select what it is you want to monitor: Company/Product, Competitor, or Anything Else. Selecting Company or Competitor will give you a screen that allows you to type in the name. Once you start typing it will try to autocomplete what you’re looking for. If you see the brand or competitor you’re looking for, click on it. Now, you have the option of just clicking the Next button, but I recommend clicking the advanced settings link. This will give you the ability to refine the rules of the alert, exactly like Brand24 does. Once you’ve filled those fields out, click the Next button. Here you can identify the brand website, Twitter profile, and Facebook page. Once you’ve done that, click the Next step button again, and you’re off to the final screen. 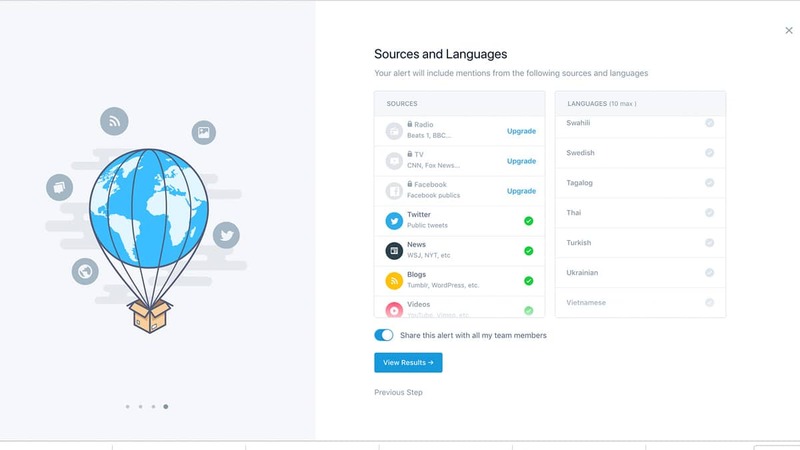 This last step is to select which sources you want Mention to monitor, and in which languages. Once you’ve set those, you can hit View Results and start monitoring your alerts. Plans start at only $29/month, but that doesn’t get you much. To get Analytics and Influencer features, you’ll need to get the $99/month plan. At that point, either Brand24 or BuzzSumo is the far better investment, IMO. Social Listening is Awesome, Right? Once you begin playing around with social listening, you’ll start to get more ideas about how you can leverage. 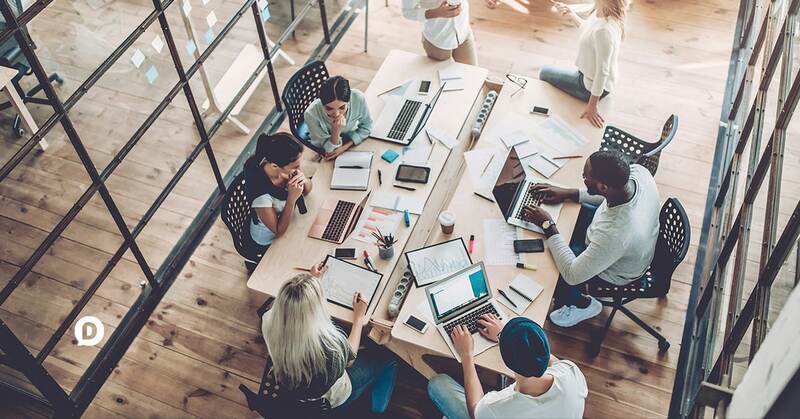 Social listening is a fantastic way of engaging with your target audience, discovering conversations around your brand, providing customer support, and keeping an eye on the competition. Google Alerts – Easy for beginners, free to use, and the most basic social listening tool available. 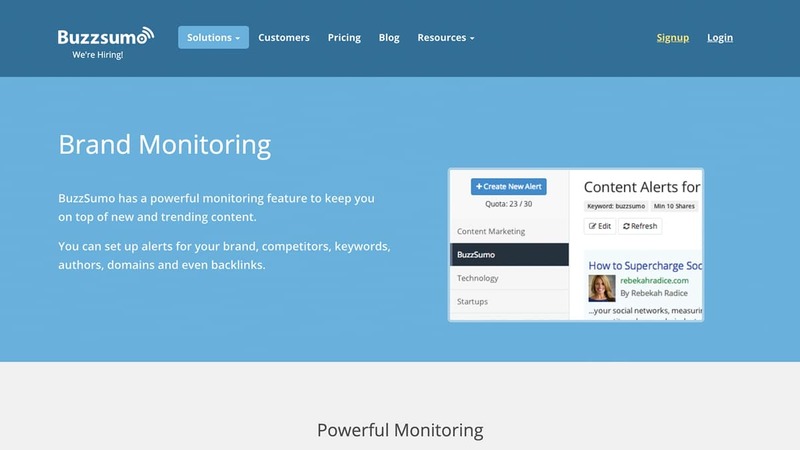 BuzzSumo – Great for monitoring multiple categories of online mentions, powerful alerts, and reporting, starts at $99/month. Agorapulse – Beautiful UX/UI, easy to set-up, and perfect if you are heavily focusing on social media. Starts at $49/month. Brand24 – Powerful listening, sentiment analysis, influencer scoring, smart filtering, reporting, and more starting at $49/month. Mention – Great social listening tool but the most useful features come with a hefty price tag. Plans starting at $29/month, but only the $99/month plan brings real value. If you want to have a firm grasp on how your brand is doing online, social listening tools are crucial. 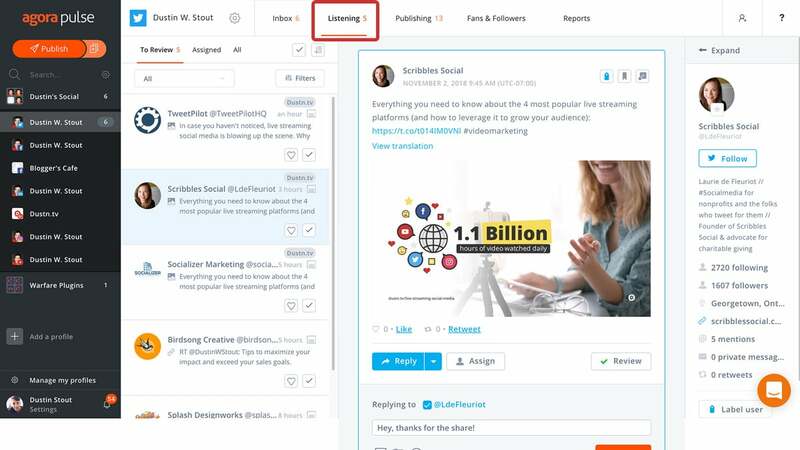 Have you tried social listening before? Leave your thoughts in the comments below. Great overview, Dustin! I was looking for someone to talk about the tools in depth and not just copy their website description =). Have you tried a tool called Awario? Thanks, Anna! I have heard of Awario but have never tried it. They’re on my list to try the next time this post is due for an update. 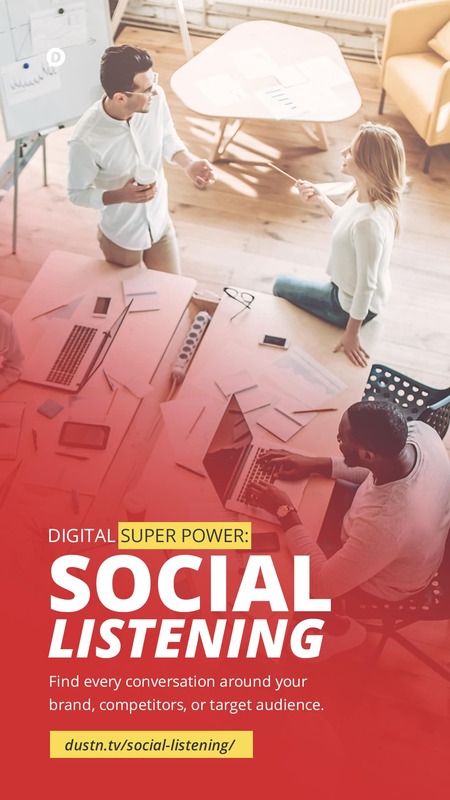 Great post Dustin and I totally agree Social listening is a superpower. Mention reminds me a bit of how Missinglettr and Quuu’s interfaces look. I wonder if there are some connections or if it’s just design trends. Mention has had this same UI (with only minor improvements) for years. I think there’s definitely a design trend you’re seeing, but Mention’s UI was ahead of the trend for sure. Great stuff! I look forward to the day I can make real use of these tools (and justify the cost). I also had no idea that “mention” existed. haha. Oh and I am the coolest!